Monday, October 16, 2017, 10:13 a.m. – The Lord Jesus put in mind the song “Trust Him.” Speak, Lord, your words to my heart. 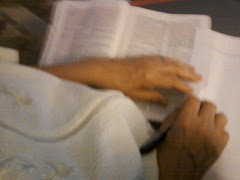 I read Psalm 19 (Select vv. ESV). So, even though some passages of scripture may not directly apply to us, given to whom the words were originally addressed, and whether or not they were written under the Old Covenant or the New Covenant, still there is something we can learn from all scripture (Genesis to Revelation). We can learn from the examples of other people’s lives, and from historical events, and be taught God’s divine character and will for our lives, especially regarding his holiness and righteous, as to be applied to our daily lives. The scriptures are God’s words to us, his instructions, his teachings and his divine counsel for our lives. Through the reading of God’s Word, we get to know him, we hear him speak his words to our hearts, and we gain understanding into his will and his purposes for our lives. When we drink in the Word of God into our daily lives and practice, we are encouraged and strengthened of heart, we are spurred on toward love and good deeds, we are guided into all truth, and we are given specific direction for our lives. When we are downcast, we are lifted up, when we are sad, we learn to rejoice, when we are confused, we are enlightened, and when we are contemplating going a particular direction, or making a specific choice or decision, we may be warned to not go there. The beauty of God’s Word is that it is how he primarily communicates with us his will and his directives for our lives, his mercy and his grace, his love and his kindness, his holiness and his righteousness, his justice and his judgment, his gentleness and compassion, and his passion and his concern for us that we live holy and godly lives, pleasing to him, for his glory. So, we should desire his Word, we should study it so we know what it teaches, we should open our hearts to hear God speak, and we should walk in his truths. Can we do what is displeasing to God and not be aware of it? We can, because we may be blinded to our own faults, at times. Yet, certainly this is not speaking of hidden sins, in the sense of secret sins that we fully know we are doing, and which we are purposefully hiding from others, though. God is not going to declare us innocent of such sins which we consciously commit and then hide and even cover up with lies so as to deceive others. These sins may fall under his grace, and therefore we may not be eternally condemned because of them, if we are not walking in them, but God is not going to excuse them away or look the other way, and then not address these wrongs to us. For, his goal is that we walk in holiness and righteousness, and not according to our flesh. Yet, it is possible to sin and to miss it. For example, we may have a wrong attitude concerning something God has placed in our lives, or unkind thoughts about someone, or God may be trying to tell us something, but we are missing the cues, maybe because we are distracted with other things. Or, perhaps we are taking stuff into our minds which are not spiritually healthy for us, but we are just not sensitized to it. But, the more we mature in our walks with the Lord, and the more we respond to his Word and to the Spirit’s voice, speaking God’s words to our hearts, the more aware we will become regarding what is pleasing or what is displeasing to our Lord, so that we can correct those errors and then do what is right in God’s eyes. Definitely we want to be kept back from presumptuous (bold, arrogant, insolent, willful) sins, for if we walk in them (make them our practice), we will not have the hope of eternal life with God, but a fearful expectation of judgment. But, if we walk according to the Spirit, and by the Spirit we are putting sin to death, then we do have that promise of eternal life with God. For, when Jesus Christ died on a cross to deliver us from sin, it was so that we might die to sin and live to righteousness; that we might no longer live for ourselves, but for him who gave his life up for us. In fact, his grace to us is not merely forgiveness of sins, but it is deliverance out of slavery (addiction) to sin. His grace is also not carte blanche (free rein) to continue in sin, but it instructs us to say “No” to ungodliness and worldly passions, and to live self-controlled, upright and godly lives while we wait for Christ’s return. Jesus Christ gave his life up for us on that cross, in other words, so that sin would no longer have dominion over us, but that now Jesus Christ would be truly Lord (owner-master) of our lives, and us his faithful servants. If we have been born again of the Spirit of God, and have been crucified with Christ in death to sin, and have been made alive to God in Christ, to the glory and praise of God the Father, then our desire should now be for God (for Jesus Christ), to please him in every way. The closer we walk with him, the more sensitized we will become to not doing what we know is contrary to his Word, and the more we will want to do what is right in God’s eyes. Thus, we will join with the psalmist in this prayer that our thoughts, our hearts, our attitudes, our actions and our words would be acceptable to God. And, no matter where we are in our Christian walks, or what we are presently going through, we will look to our God – Father, Son and Holy Spirit – and to his Word for our strengthening, comfort, encouragement, counsel, instruction, hope, healing, guidance, peace and security. Thus, we will put our trust and our hope in Him and in His Word, and not in ourselves or in our own resources, or in humankind, who are bound to fail us. Be strong and take heart today. Do not fear when foes attack you. As you trust Him with your life today. God is with you; He’ll not leave you. All that you need for this life. Let his truth envelope you today. Love your Lord God; follow Jesus. Repent of your sins today.